What’s needed to participate in a CKFC Tournament? You must be a CKFC paid member of the series you plan to fish (Bass Only or Multi-Species). Can become a member by paying online or on Tourney day. What is the check in process for a CKFC Tournament? 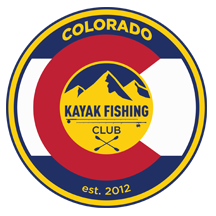 As soon as we open up check in, bring your white light, PFD, Hawg Trough or Ketch board, pre-filled out CKFC tournament entry form and pre-filled out CKFC waiver. What other things should I know before participating in a tourney? Please pre-line your Hawg Trough. Meaning please use a black sharpie and blacken the Hawg Trough (HT) lines. This makes verifying fish pictures a lot easier. Don’t be late! If you’re late (after release to fish the tourney), you will be disqualified and your money will become a donation to the winners. Usually, tournaments will end at 2 or 3 pm (can be shortened, if needed due to weather). We try our best to get the result ceremony done as soon as we can. CKFC Tournaments are catch, photo, release. This means we catch a fish, then we take a picture of the fish on the Hawg Trough or Ketch board, and release the fish. You will fill out a form to keep track of your fish. At the end of the tournament, you will check in and show the board members your fish and form that make up your 5 fish limit. They will verify your fish and will input your 5 fish into a spreadsheet to determine a winner. What if I paid already, but I can't make the tournament? Please contact one of the Tournament Directors (Ron Southworth, Matt Arledge) or the President (Alex Rojas) and let us know you can’t make it (BEFORE the tournament). We will either reimburse you or roll your entry to the next tournament…your choice. Do I need a camera or can I use my Cell phone? You can use either a digital camera or cell phone. The verifying official must be able to clearly see the entire fish, identifier, and measurement (on Hawg Trough or Ketch Board). You must be able to zoom in to verify fish properly. Also, you may need to submit a digital copy of the fish to board of directors. Multi-Species Tournaments are just that Multi-Species…meaning you have to catch more than just one species. Example: Fishing at Chatfield, (depends on the tournament director) we may elect to include Walleye, Bass (Black Bass), and trout. You must catch a combination of fish to get a limit (5 Fish). Example: 2:2:1, 2 Walleye, 2 Trout, and 1 Bass…or 2 Trout, 2 Bass, and 1 Walleye. Is bait allowed at tournaments? CPW rules and the specific rules of each lake a tournament is held at. Generally, yes for multi-species (Spinney is a no bait/no scent lake!!!) (please make sure you know the rules at each individual lake and CPW rules). For the Bass series, Bait is NOT allowed! Is Trolling allowed at tournaments? For Multi-Species tournaments, Trolling is allowed. For the Bass Series, Trolling is NOT allowed. Can I use multiple rods at once, or can I have multiple lines out at the same time? 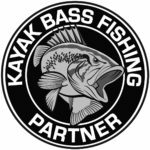 For Multi-Species tournaments, Yes you can use two rods or have two lines in the water at the same time (Make sure you have the CO extra rod stamp on your license, as CKFC is not responsible for any tickets you may receive if you don’t). For The Bass Series, NO you can not use two rods at the same time or have more than one line in the water at anytime. One Rod; One line. What is the minimum size for a scoreable fish? For Both tournament series, CKFC has an 8 inch minimum length in order for the fish to be a scoreable or qualified fish. CKFC reserves the right to change this rule prior to any tournament. If changed, it will be announced before the event start time. Is there a maximum size for a fish? For Bass tournaments, NO there is no maximum size. For the Multi-Species, YES/NO. You can catch a fish bigger than 30 inches, but since the Hawg Trough only goes up to 30 inches we can only officially allow 30 inches. Even if the fish is over 40 inches, you will only get credit for 30 inches. For both series, If there is a tie in total inches, the first tie breaker is longest fish (of 5 submitted). If the longest fish is the same we go to the 2nd longest..then 3rd, etc. How much do you payback at each tourney? CKFC pays back 80% of each entry. 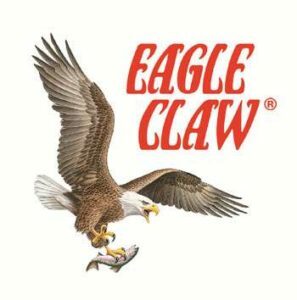 The other 20% goes to Angler of the Year, and towards the yearly donation to the CKFC elected Charity. How many places do you pay out? CKFC pays out cash to the top 3 places. We give away prizes/cash to the top 5 places.